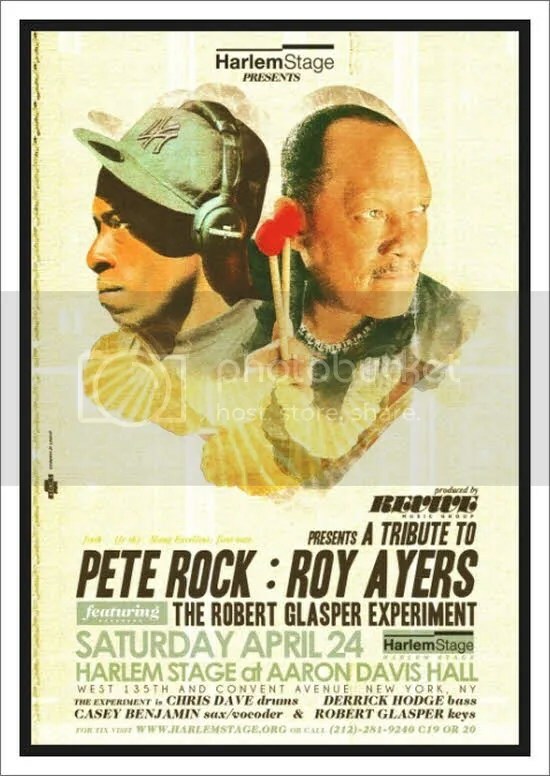 Join honored guest Roy Ayers as Hip-hop icon Pete Rock and jazz trailblazer The Robert Glasper Experiment, featuring Chris Dave, Derrick Hodge and Casey Benjamin, lead Revive Da Live’s tribute to this legendary funk, soul and jazz musician; along with special guest Stefon Harris. DJ Stimulus spins the mixers. This entry was posted in Music/ Audio/ Video and tagged 2010, Casey Benjamin, Derrick Hodge, DJ Stimulus, funk, harlem, hip hop, Hip-Hop icon, hris Dave, jazz, musician, nyc, Revive Music Group, soul, tefon Harris, The Robert Glasper Experiment, video. Bookmark the permalink.